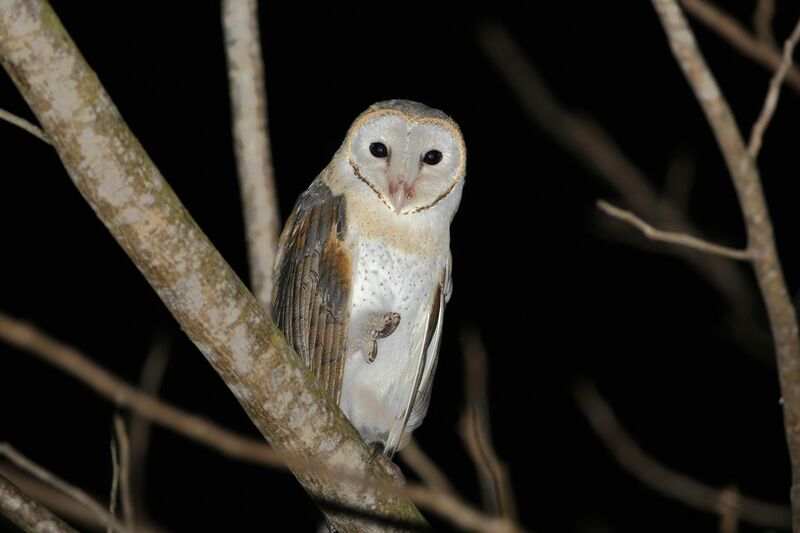 Barn Owls have the amazing ability to hunt in complete darkness, helped by their powerful ears. Statement of the obvious incoming: humans are diurnal animals. Sure, we often stay up late (some of us consider ourselves “night owls”), but even then we are constantly surrounded by artificial light. Because we are diurnal, it makes sense that we usually don’t feel as comfortable in the dark. We can see evidence of it in many aspects of our society; the tensest moments in horror movies often happen at night, and we love our dear friend ALAN (artificial light at night) who always brightens our cities, towns and homes. Yet, the night and darkness also captivate us — there is mystery in the unseen, and the creatures that inhabit those darkened spaces. In fantasy novels, common creatures of the night are ghouls, vampires and werewolves. Usually, they are up to no good. Biologically speaking, however, nocturnal animals play an important role in ecosystems — we just don’t see them as well. When you read the word “pollinator,” what animals do you think of? Odds are your list included bees and butterflies. While some bees are active at night, the majority of butterflies are not. Yet according to the Smithsonian Institute, there are 160,000 species of moth in the world compared to only 17,500 species of butterfly. These moths, many of them nocturnal, help pollinate the flowers of at least 12 percent of the word’s plant families. 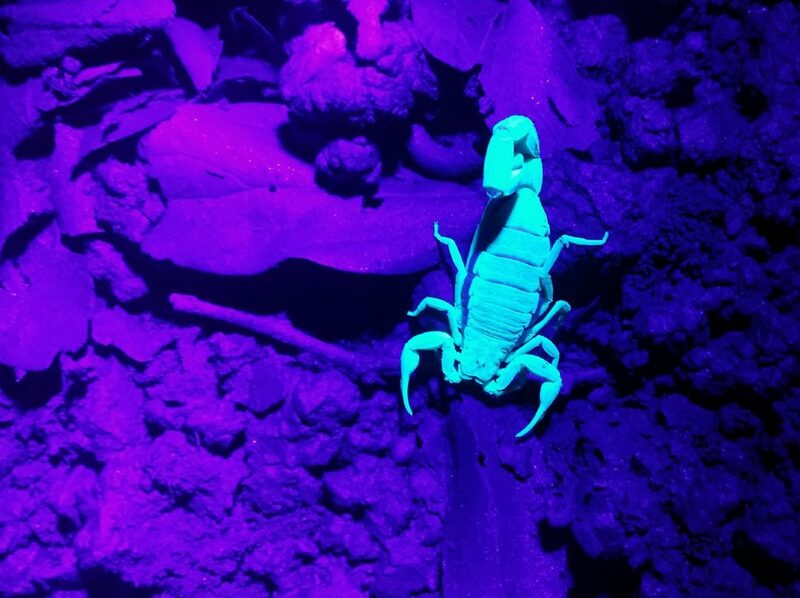 Scorpions have proteins in their exoskeleton that cause them to glow under UV light. 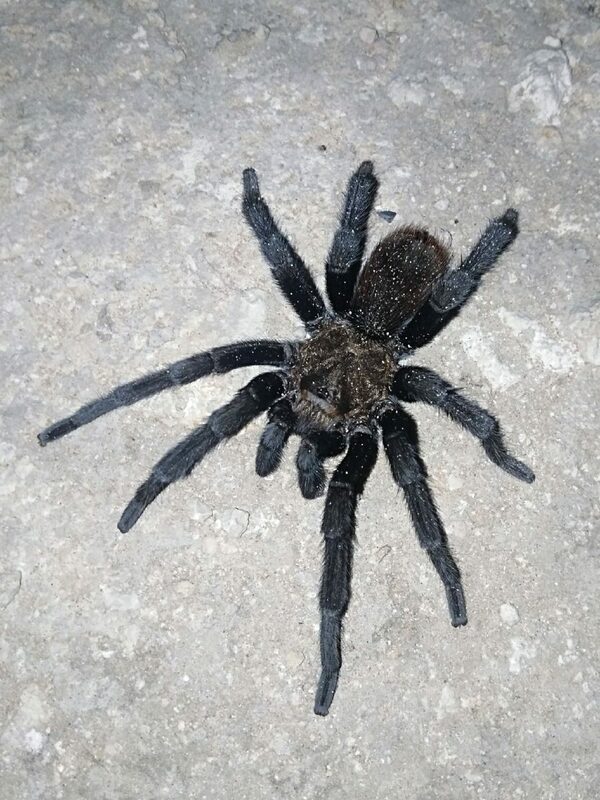 Tarantulas are most often encountered at dusk or at night, when they come out to eat a variety of insects. What of other important nocturnal animals? What of the ones that eat meat instead of nectar; those that are “red in tooth and claw?” One highly efficient nocturnal predator is the Barn owl, a common bird in South Texas. Each owl can eat four to five rodents a night, using their silent flight to sneak up on their prey. There are an estimated 50,000 Barn Owls in Texas, according to the Partners in Flight population estimates database, meaning that those ravenous birds could eat at least 73 million rodents per year. By the way, we also have three other owl species that regularly eat rodents in the Lower Rio Grande Valley. Another group of predators that are often active at night have eight legs, two to eight eyes, and eat tons of insects. Spiders frequently get a bad rap; they’re accused of biting us, but it’s actually unusual to be bitten by a spider. In reality, spiders are doing the valuable ecosystem service of pest control by biting other organisms, usually insects. While some of our most common spiders, like the Silver Garden Spider, build their webs in the morning, many spiders throughout the world are nocturnal. Wolf spiders, for example, are fierce predators of other insects at night, and are frequently encountered in urban areas. There are many other animals that are nocturnal. Indeed, ecosystems are just as active at night as in the day, representing a full and vibrant community; flowers unfurl to be pollinated by moths, which are in turn eaten by spiders and nighthawks; mice scurry to and fro, stalked by owls flying silently above; and toads trill their mating calls, ready to reproduce. There are opportunities to go on nature night walks throughout the Valley, nature sites ready to be explored. Quinta Mazatlan hosts Flashlight Nights every summer Tuesday from 8:30 to 10 p.m. Participants go on a guided tour searching for insects, frogs, birds and all other fascinating nocturnal wildlife. Call (956) 681-3370 for more info and to reserve your spot.